Pre-employment questionnaire offers the most comprehensive form available, requesting detailed information to aid the best selection of personnel. Conforms to ADA laws. 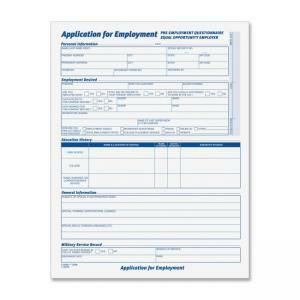 Form asks questions on employment history, references, education, personal information, physical record and check off for special questions. Offers a space for interviewers remarks. Page one asks for background information. 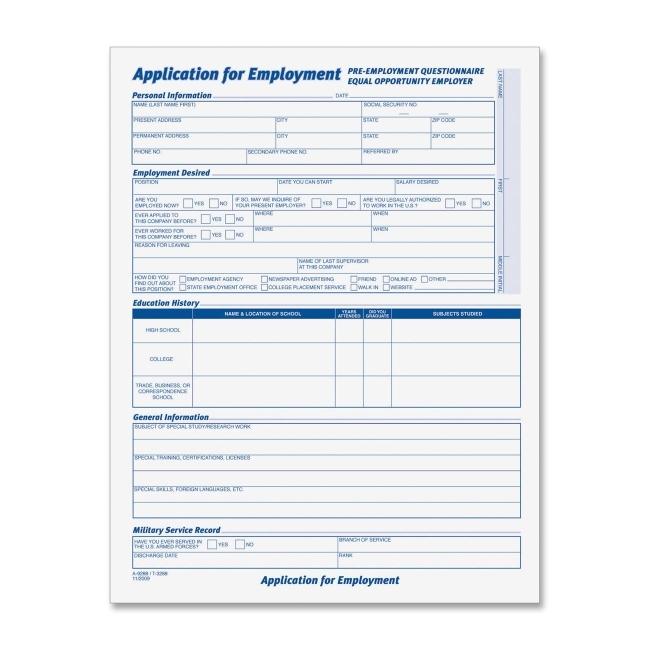 Page two offers a detailed format for past employment history. Page three covers specialized information and page four is for the interviewers use. Printed in blue ink on white stock.